We can ship all our 1D merchandise worldwide including America, Canada and Australia! We can ship our 1D merchandise worldwide including America, Canada and Australia! 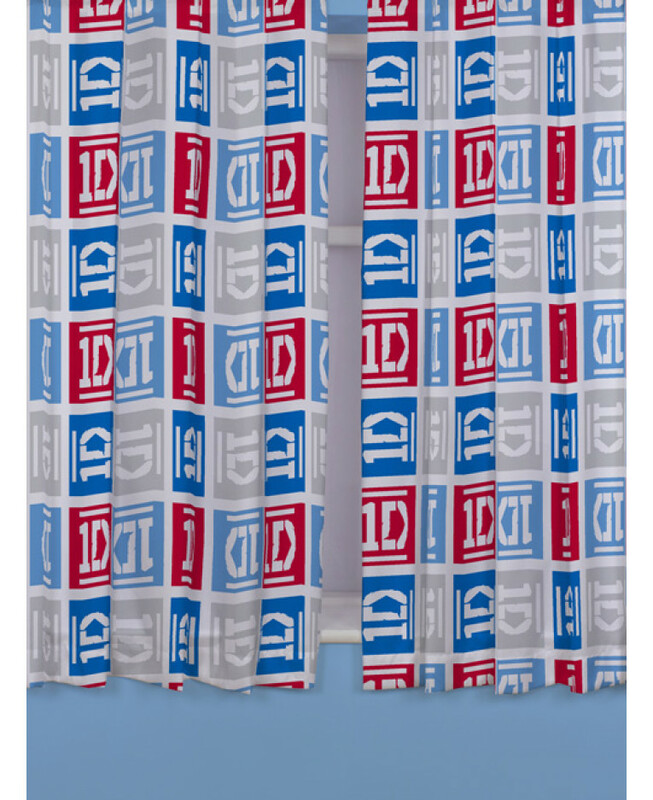 Complete your One Direction bedroom with these fantastic curtains! The design is made up of blue, red and grey squares with the 1D logo taking pride of place in the middle of each square. These curtains are available in two drop lengths and are a pencil-pleat fitting. 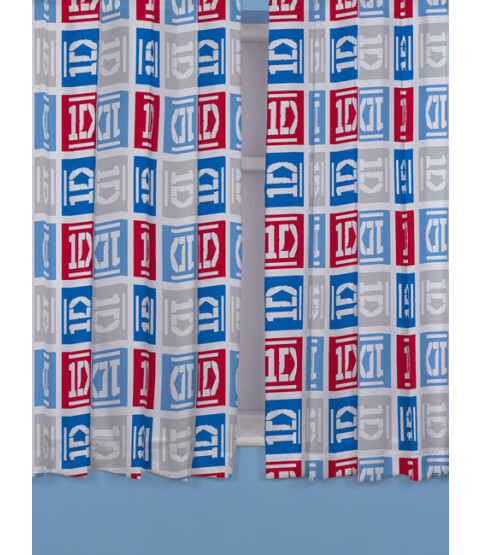 Matching bedding and bedroom accessories are also available from our One Direction section.